Step One: On high heat add cooking oil. Add bell peppers, garlic, green onions, and ginger for a couple minutes. Step Two: Make sure your clams are cleaned and drained. 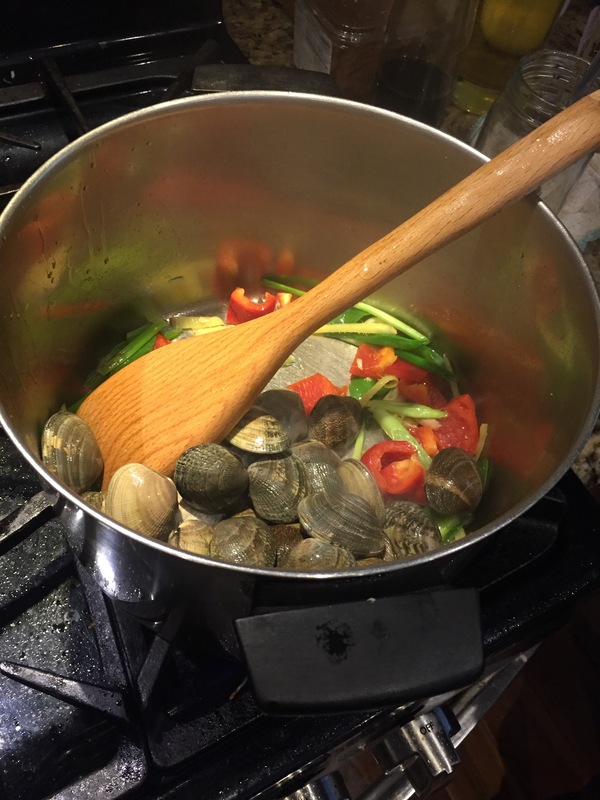 Add your clams and stir-fry the pot for two minutes. Add a pinch of kosher salt. Add one tablespoon of any white cooking wine of your choice. I like to use rice wine, but you can pick yours! Stir fry for one additional minute. Step Four: Make your gravy by adding two tablespoons of water and one tablespoon of cornstarch. Mix well. 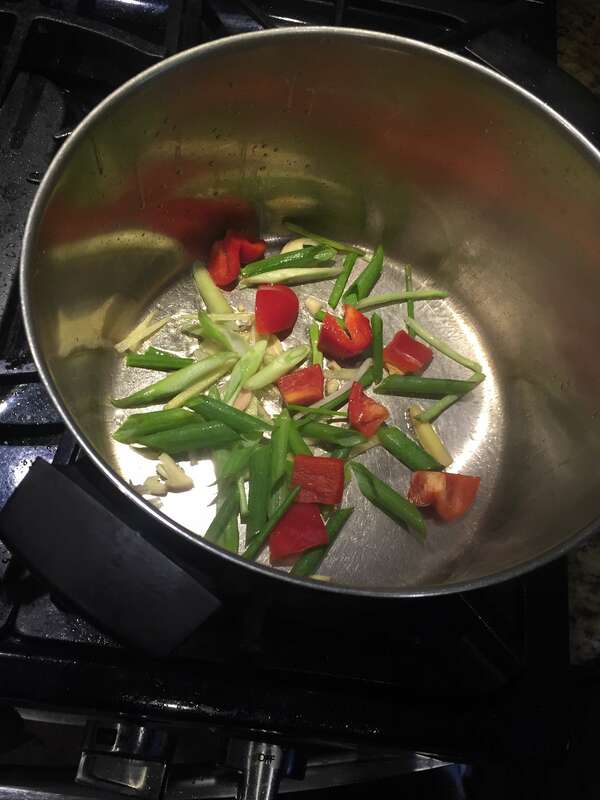 Add your basil and green onion into the pot. While stirring pour in your gravy into the clam mix. You can stir for another 30 seconds or less and WAAALAHH! BAM! 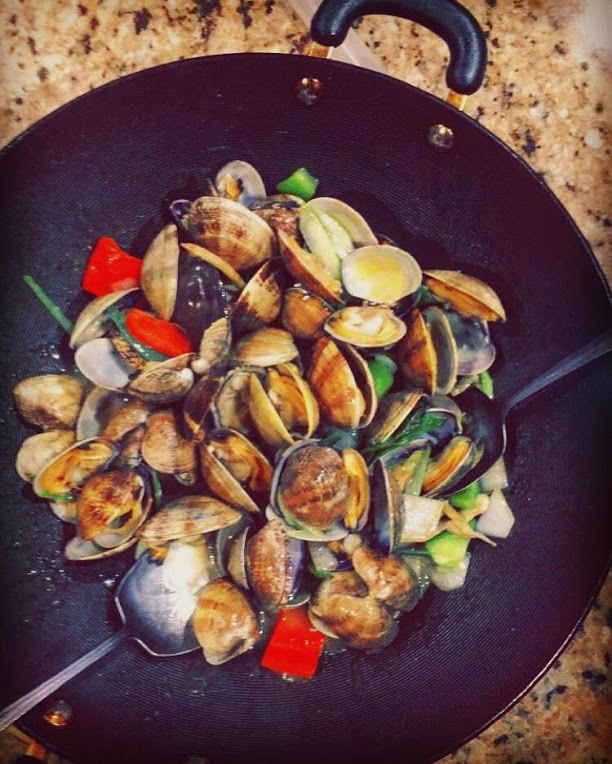 CLAMS. Leftover Rice from last Night?-MAKE THIS! Previous Post Leftover Rice from last Night?-MAKE THIS! Wow, welcome to my site! To my future fans, family + friends, I am finally making my mark on the world wide web.